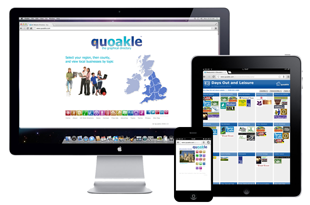 Quoakle has been privileged to help a number of charities and educational projects. Diamond Books is a Bible-based reading project which aims to publish Bible Stories for Children that lay foundations for children’s lives not only for their reading development but also for their understanding of God and his plans. We are also pleased to be offering SEO services to a number of companies including Passion Plays, The Passion UK and Passion Trust, as well as including the Values Foundation, World Around Us and 40 days.